Just going to drop this here for the record. These are the 24 teams our sim is telling us have a >1% chance of making the playoff. Week 1 managed to cull about 10 from that list, and bolstered the numbers on those at the top – we are ridiculously long on Alabama and Ohio State. 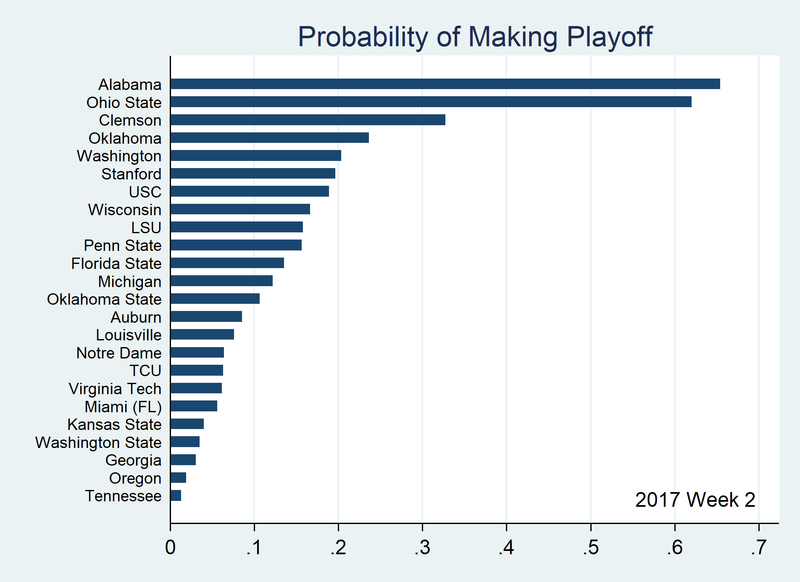 That mostly comes from how much stronger we believe they are than the rest of the field, but also the weakness they face in likely conference title games. Enjoy an incredible slate today!